Flint declares state of emergency because of lead in drinking water. 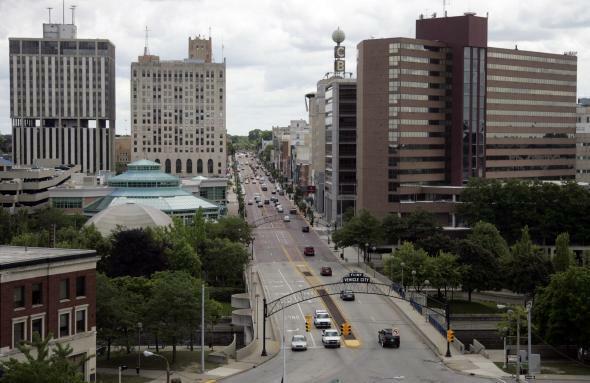 Downtown Flint in a photo from 2009. Mayor Karen Weaver says that the potential impact of lead poisoning on the physical and mental health of Flint children will require federal resources that can only be accessed by making the emergency declaration. (Lead has particularly damaging effects on children.) The city previously declared a “public health emergency” in October. The city of Flint was for many decades a center of manufacturing operations for General Motors and related companies; a 2003 study called the automotive industry the “leading remaining source of lead pollution” in North America. 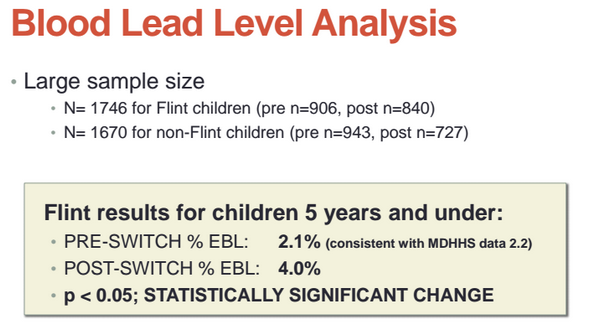 *Correction, Jan. 12, 2016: This post originally stated in error that a study found that the number of infants and children in Flint with above-average levels of lead in their blood had doubled. What the study found was the rate of children with “elevated levels” of lead in their blood as defined by Centers for Disease Control standards had doubled.